Puddle is an OpenGL wave equation simulation. It visualizes waves like you might see in a puddle. Well, not really, it's too simplified to do that, but they look cool. 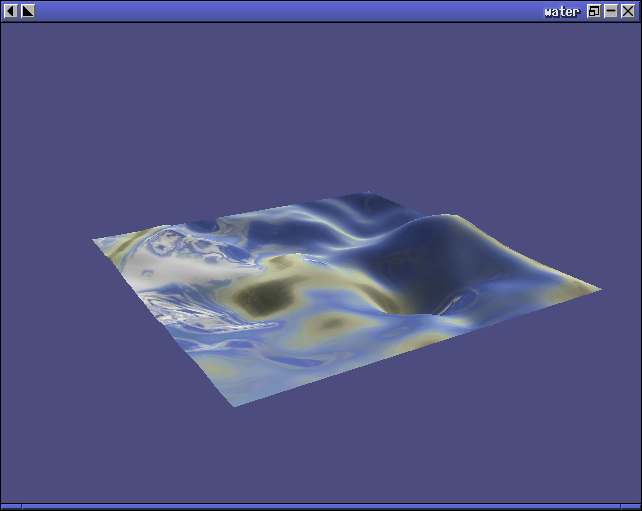 :) Water and Rubber are a couple different incarnations of the same simulator, they are just playing with transparency and environment mapping.